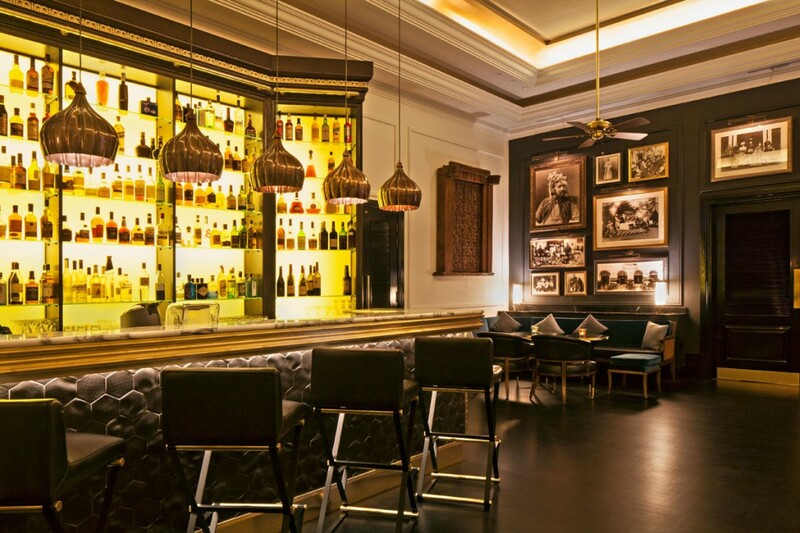 Bombay Brasserie has been serving eclectic Indian cuisine in Kensington since 1982. 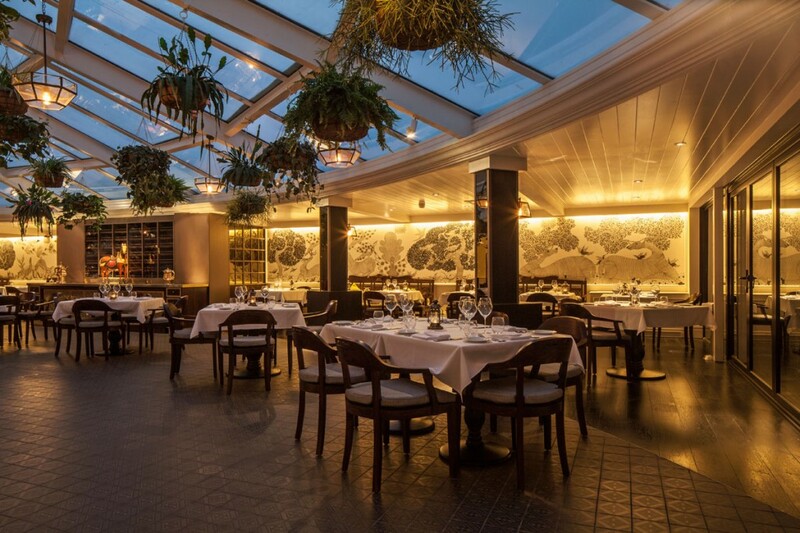 Into lighting were appointed as lighting design consultants for the refurbishment of all areas of the restaurant including the entrance lobby, bar and lounge, main dining room and the conservatory dining area. 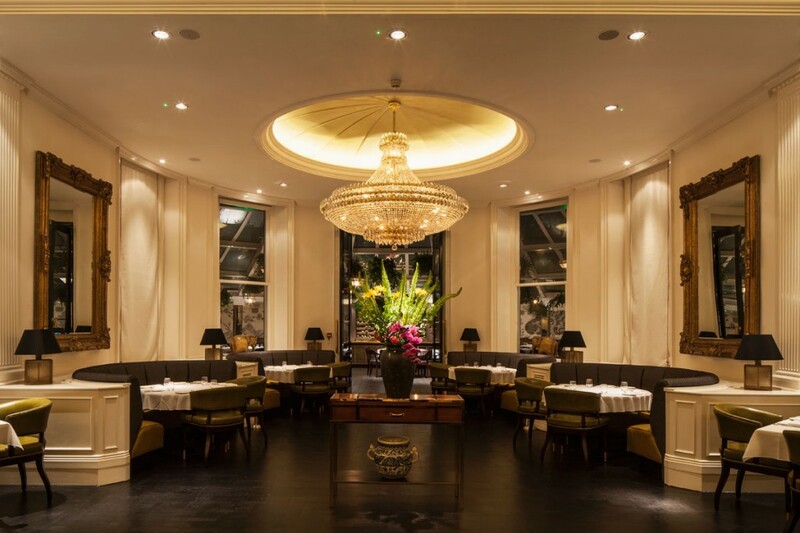 The emphasis was on bringing the restaurant to a modern audience while retaining the authentic Indian sophisticated style. 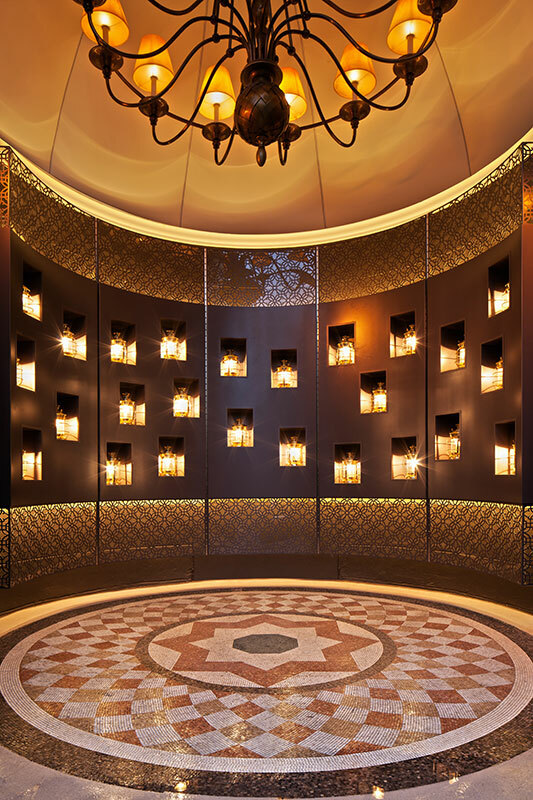 A dramatic illuminated lantern wall feature greets guests as they enter the external lobby. 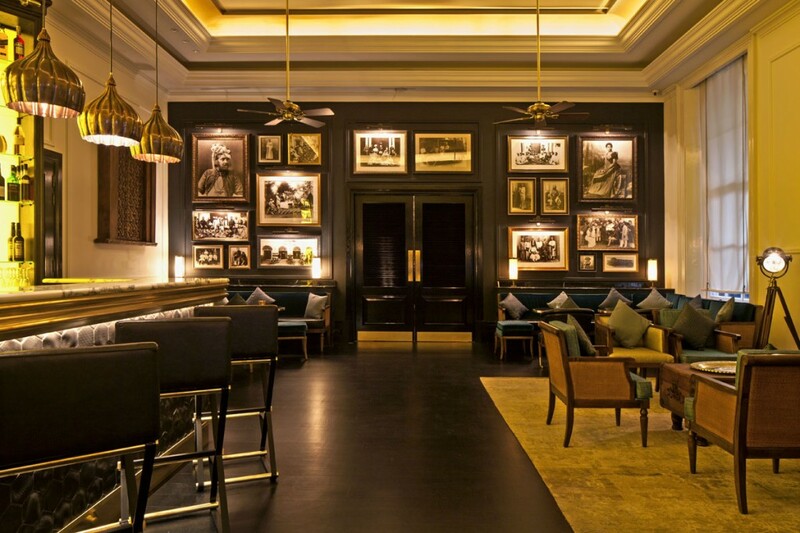 Inside, the bar and lounge has a layered lighting scheme combining subtle coffer lighting, artwork lighting and decorative lighting, while the backlit bar display and staggered picture light wall provide an impacting visual display. In the main restaurant the focus is on layers of light, lighting to artwork and low level intimate lighting to tables from real flame tea lights. The original feature chandeliers have been retained. In the conservatory perimeter wall art is highlighted by washing warm light from concealed pelmet details. Bespoke feature pendants in bronze and glass hang from the conservatory roof for a broad spread of light from the high-ceiling. 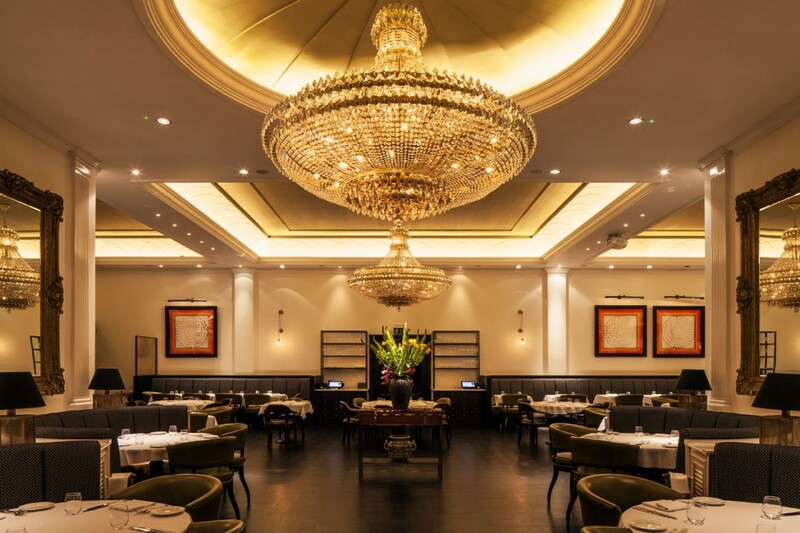 The differing heights and architecture of the spaces presented a challenge in lighting design, however the result is a modern and atmospheric Indian restaurant with a refined quality and style.